Christopher Cannon is a data journalist and information designer on the Bloomberg Graphics team, where he helps create the visual standards, UI design and product ideas for a variety of interactive data visualizations and infographics that utilize Bloomberg data. A graduate of the School of Visual Art’s Interaction Design MFA program, Chris is able to now combine his interests of visual, interaction and product design for his current job. 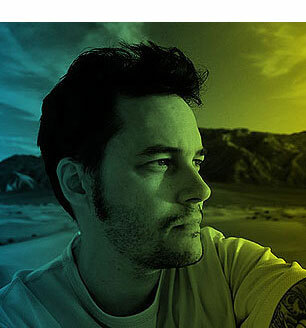 His work has been recognized by The Society for News Design, The Webby Awards, How, Print, Communication Arts, The Type Directors Club and has been featured in Wired, Fast Company and Business Insider. One of his graphics was even tweeted by Hillary Clinton. Chris lives in Clinton Hill, Brooklyn with his wife and son. He loves maps, Pantone Orange 021 and loud ugly music. I feel honored that my work has been recognized and awarded by several prestigious design competitions, including a Best in Show accolade for one of my projects. Additionally, select work created for past clients has been featured in such publications as Dwell, The New York Times, Boston Globe, and Vogue Italia.